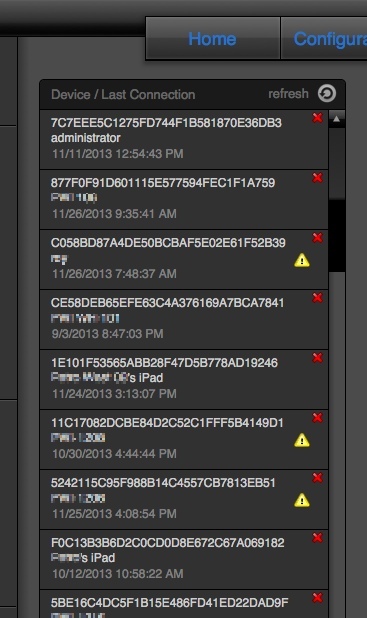 GoZync maintains the last sync log for each user. A customer recently contacted us to say that their syncs were rolling back due to errors. This was new as they’d been up with GoZync for months. The logs in their hosted file contain caution icons to quickly let me see that not all users are having sync issues, confirming my suspicion that THIS customer’s issue is around record validation. (Some user’s records were passing validation, some weren’t). At this point I could suggest the customer put all their validation in the mobile file, so non-conforming record can’t even be created, or turn off validation during sync (a simple switch described at the end of the page here). The customer can also easily import the scripts from the latest GoZync version and use the reported errors to hunt down which exact field is causing the validation issue.